The pretty park is filled with tall grass and trees. There are several Trainers to battle and chat with, and they've brought along Bug-, Grass-, and Rock-type Pokémon. Talk to the woman on the far right bench near the entrance, and she'll give you the Quick Claw. When equipped by a Pokémon, this will sometimes let that Pokémon get the first attack, regardless of its Speed. So give it to your slowest fighter and surprise foes by getting the first strike. In the top half of the Park, you might not notice that there's a gap in the fence. But there is a missing rung in the grass next to the kid just to the right. That's the opening you need to get all the way around to TM 28 in the southwest corner of the park. TM 28 contains Dig, a solid ground attack that can also be used to teleport you out of dungeons. If you go to the right as soon as you enter, you can also get a Parlyz Heal. Next to the TM, if you go to the right and down, you can find a hidden Full Heal. Just press right in front of the last gap until you hit the tree. When you enter the park on Tuesdays, Thursdays, and Saturdays (from either side), you'll have the opportunity to participate in a free bug-catching contest held in National Park. Players compete to win very nice items. Every person who enters wins something, even if it's just the consolation Berry. The bugs you catch will be entered into your Pokédex, but you can keep only one bug. You'll get to take one of your Pokémon and twenty Park Balls (which are not very effective). Use a Pokémon that can paralyze, put to sleep or otherwise stun other Pokémon to make them easier to catch. You have about 20 minutes, but you'll probably catch a winner or use up your balls before that. When you're done, just leave the way you came and the judging will begin. You can only hold one captured Pokémon at a time, so if you have one and catch another, you'll have to pick one to set free. The goal is to catch the best Pokémon you can get. You get points based on the rarity of the Pokémon (Scyther, Pinsir, Beedrill and Butterfree are the highest), and on the Pokémon's level. First prize wins a Sun Stone, Second gets an Everstone, and Third gets a Gold Berry. Everyone else gets a regular Berry. And of course, you get to keep the Pokémon you caught. 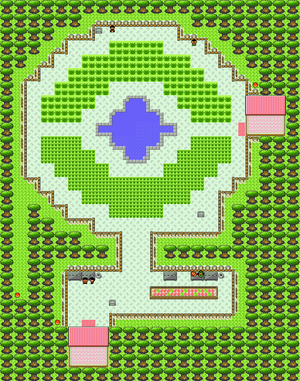 Since this is the only place to get Scyther and Pinsir, as well as the Sun Stone, you may want to enter repeatedly. Unfortunately, there is only one competition per day. National Park is the only place to catch some Pokémon, so don't miss out. Raichu (lvl. 14, 366 EXP) Holds a "Berry"
Snubbull (lvl. 14, 186 EXP) Holds a "Berry"
Poor Pinsir is always second-best to Scyther. This straight Bug Pokémon never gets any Bug attacks, but now you can teach it Bug-type TM 49 (Fury Cutter) and make Pinsir strong versus Psychic and Dark Pokémon. This straight Grass-type Pokémon can learn Absorb, Mega Drain, and Giga Drain. Its stats are among the worst in the game, but you can evolve it into a Sunflora at any time with a Sun Stone, so level it up to 10 (so it learns Mega Drain) then use the Stone. It won't get Giga Drain, but it will learn Petal Dance and Solarbeam… And get much better stats! Good old Scyther is back, and better than ever. The best news is Scyther's new False Swipe, which it learns at level 18. While relatively weak, this attack always leaves it victim with at least 1 HP. 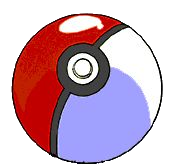 That makes it invaluable for catching other Pokémon, since you can put them into the red without risking a K.O. Scyther can evolve now, by trading it with the Metal Coat item. This new half-Steel Pokémon, Scizor, loses Speed but gains Attack and Defense. And instead of learning Wing Attack, it learns a rare Steel-type attack, Metal Claw. Not that Steel-type is worth much on offense. This page was last edited on 20 November 2018, at 03:01. This page has been accessed 425,315 times.